Together with the Poznań International Fair we would like to invite you to the POZNAŃ SPORT EXPO, which will be held April 12 – 14.2019. The fair is an interesting event for all people actively engaged in sports as well as half-marathon runners. At the POZNAŃ SPORT EXPO one can find summer collections of sports clothing, footwear, dietary and nutrition supplements, and sport equipment. On top of that, the exposition will feature books on running and healthy diets. 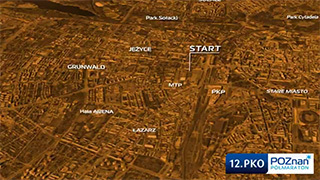 As the finish line of the 12th PKO Poznań Half-marathon will be located in close vicinity of the fair stands, we encourage all visitors to support the competitors. Yet, these are not the only attraction of the POZNAŃ SPORT EXPO as, additionally, many interesting lectures complementing the knowledge of all sports people will be held on Saturday.